It’s that time of the year again – temperatures are on the rise. So it’s perfect timing that this hot weekend starts with what MovieMaker Magazine calls “one of the coolest film festivals” in the country. 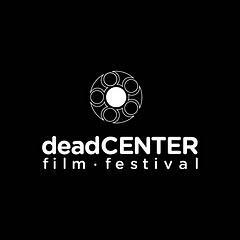 This year’s deadCENTER Film Festival has just about everything from zombie musicals to inspiring documentaries. Over 100 films from Oklahoma and around the world are screened through Sunday at various venues in Oklahoma City. It’s 5 days of pure, unadulterated screenings, parties, expert panel discussions and director Q&A’s. Oklahoma wildlife is the focus of the three-race fundraiser series Run For Your Wildlife 5K and 1 Mile Walk along the newly-certified Norman Legacy Trail at Andrews Park. All ages are welcome to participate and support the Wildcare Foundation, a rehabilitation facility for animals native to Oklahoma. The Ozarka OKC Nationals is back after a two-year hiatus due to construction. I’m talking about boat racing – everything from personal watercrafts to supercharged speed machines that fly past you at 265 mph. You can catch the opening ceremonies at noon Saturday on the Oklahoma River in the Boathouse District. June 5 through the 11 is National Garden Week. That means it’s time for the annual Festival in the Park at the Will Rogers Gardens. Now in its 20th year, the festival offers gardening tips from pro growers, gardening supplies and plants provided by local vendors and a flower show. Saturday’s offerings also include the annual Americans United for Separation of Church & State Spring Dialogue in the Senate Chamber of the State Capitol. Expect an exploration of civil law and religious conflicts with a panel of community leaders. Live theater lovers have at least two choices this weekend: The Pollard Theatre’s daring rock n’ roll musical production of Passing Strange in Guthrie, and Oklahoma Senior Follies, a Ziegfeld-inspired production and fundraiser at Oklahoma City University. Former Poet Laureate of Oklahoma Carol Hamilton reads from her most recent poetry chapbook Umberto Eco Lost His Gun at the Performing Art Studio’s Second Sunday Poetry Reading. And Oklahoma City-based jazz and rock percussionist Mark Giamarrio and his band wrap up the weekend at the Sunday Jazz Concert at the Norman Depot. You’ll hear Giamarrio’s broad-ranging styles from Afro-Cuban to Caribbean to seventeenth century Spanish music. For complete details on these events – and many others – see our full calendar by clicking here. You can also add your own item to appear on the calendar here.